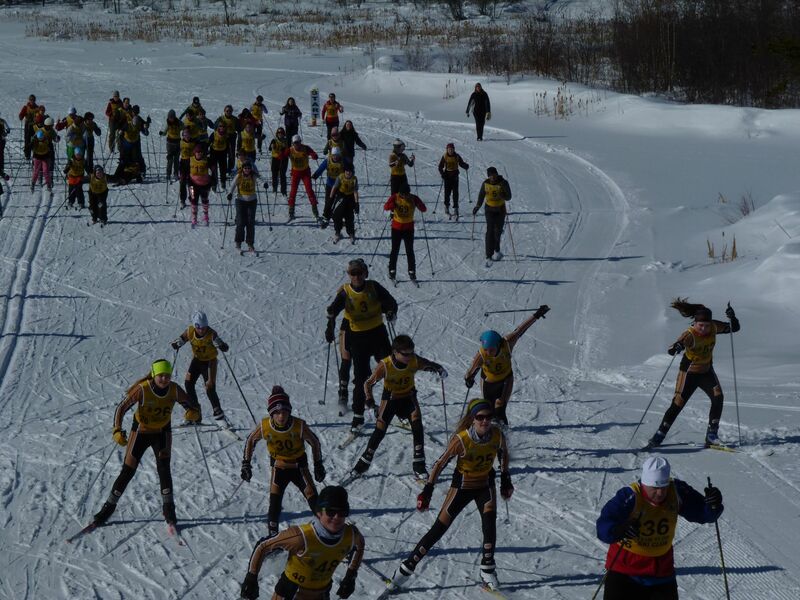 The Flin Flon Ski Club is getting ready for the 44th annual Val and Ivor Hedmen Centalloppet taking place this Sunday. Bring the whole family for an easy 3.4 kilometre route ending at the Chalet. Massed start at the Beaver Pond at 2, with registration at the Chalet basement at 1. It is absolutely free and is open to all ages with lots of great prizes. Call Dave at 687-8653 or Dean at 687-8307 for more information. Good luck to the Pee Wee AA Kinsmen Bombers who are off to Morden to compete in provincials this weekend. The Bombers will play Winkler at 1:30 and Lorette at 8PM on Friday. Playoffs start Saturday at 2:15 and the Championship Final will be played Sunday at 4:45. 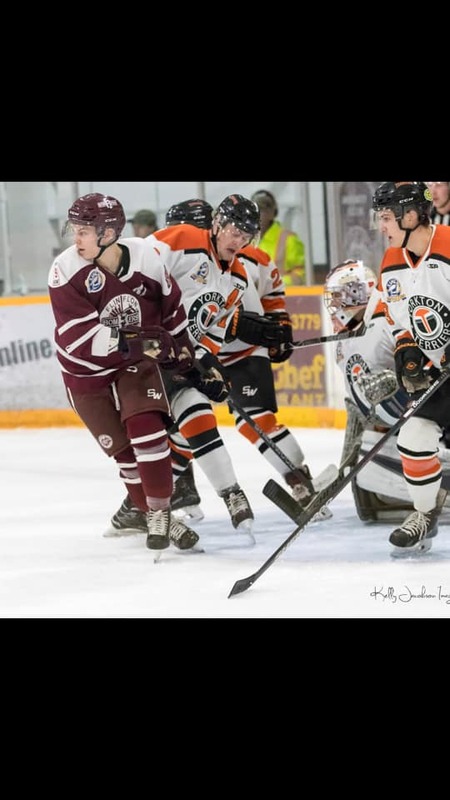 With their backs against the wall, the Flin Flon Bombers delivered one of their best performances of the season and got back on the winning track with a 3-1 victory over the Nipawin Hawks last night. The Bombers were able to snap a 3 game losing streak and picked up just their third win of the month. A lot of things fell into place including some timely saves from Gabriel Waked, who played his best game in a Bomber uniform last night. Waked stopped 32 out 33 Nipawin shots and was able to make the timely saves, something that Flin Flon hasn't been getting their last several outings. Waked talked about the win after last night's game. " Tonight is a big win , we have been struggling the last few games, so tonight is a big one for the team and everyone showed up and played very well in front of me and it was an easy job." The Bomber goals came from Tyler Higgins, Jack Michell and Donavan Houle into the empty net. Houle was one of the best players on the ice, flying and running over everything in sight. He is a treat to watch every single game. Christian Bosa had the lone goal for Nipawin , while stand out goaltender Declan Hobbs gave up 3 goals on 39 shots including Houle's empty netter. With the win, the Bombers still have a chance at 6th overall, trailing Humboldt by 5 points with only three games remaining. Flin Flon would have to run the table and hope that the Broncos lose their last two games. This was a tough loss for the Hawks who dropped to fourth overall after the Mustangs beat the Hounds last night. Both teams have 3 games remaining including a home and home this weekend. The Bombers will put their focus on the Laronge Ice Wolves and a home and home this weekend. 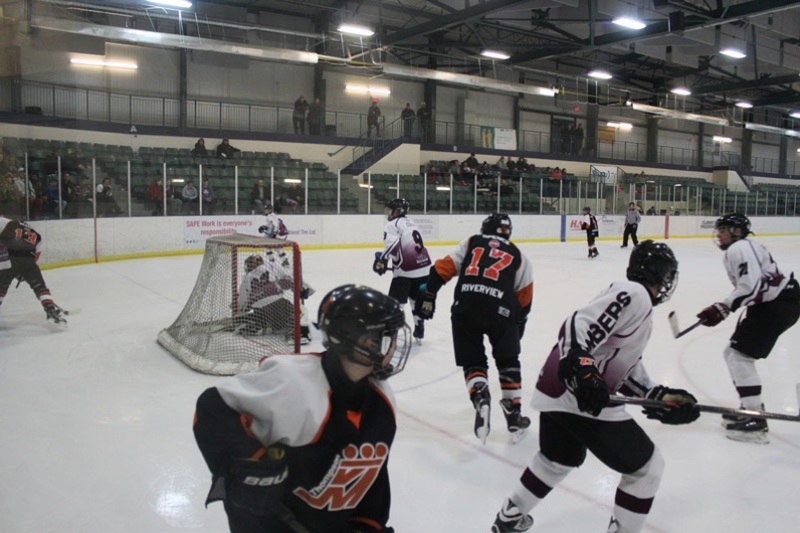 Laronge have played Flin Flon tough and you know they will want to end their season on a positive note. Flin Flon will have to be at their best to beat them as they are never an easy 2 points, especially in their rink. 102.9 CFAR and flinflononline.com will have the call of both games this weekend including the Great North GM Coach's Show at 7:10 both nights. High School Basketball Zones will continue this weekend with the Senior Hapnot Kings and Queens off to OCN. The Queens will play three games on Friday against Split Lake at noon, Nelson House at 3 and OCN at 6. The Kings will also play three times on Friday against Split Lake at 1:30, Cranberry at 4:30 and OCN at 7:30. Playoffs start Saturday with the Championship finals at 3. 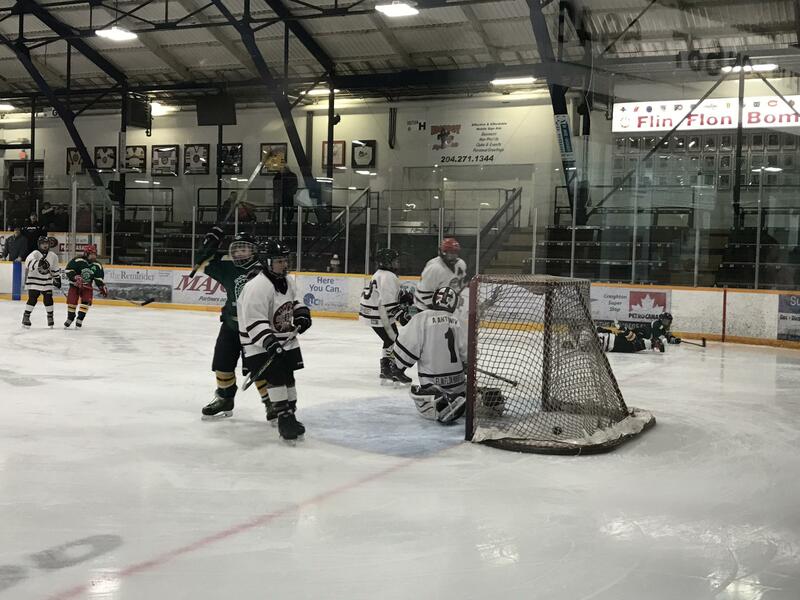 The Yorkton Terriers downed the Flin Flon Bombers 5-2 on Friday night, handing Flin Flon their third straight loss and fifth in their last six. After Chantz Petruic opened the scoring in the first period, the Bombers looked to be in good shape when they took a 2-1 lead early in the second on goals from Brandson Hein and Cade Kowalski. The Terriers responded with four unanswered goals from Brenden Mark, Aiden Bulych and a pair from Colby Brandt. Andrew Henderson, who the Terriers got from Notre Dame on deadline day was fantastik, stopping 52 out of 54 shots and was the big difference in the game. Jacob Delorme suffered the loss giving up 5 goals on 31 shots. I thought the Bombers played a decent game and created a lot of good chances but couldn't bury, and missed a good opportunity not capitalizing on a 5 on 3. Yorkton takes the season series 4-2. With only 4 games remaining, it is looking more and more like Flin Flon will be playing in the Survivor Series as they sit seventh overall, 7 points behind sixth place Humboldt. The most important thing for the Bombers right now is to finish the season strong and try to get on some type of a roll come playoff time. February continues to be a real rough month with the Bomber record at 2-7 and the first place Nipawin Hawks coming to town tomorrow. Nipawin has taken 4 out of the 5 head to head meetings so far and need tomorrow's game with Kindersley breathing down their necks. No question, a Bomber victory would go a long way in the confidence department and might get things turned around. They could also hurt the Hawks chances of finishing first overall. No broadcast tomorrow, we will broadcast the home and home with Laronge this Friday and Saturday. JV Basketball Zones took place in Easterville for the first time ever this past weekend. Hapnot Collegiate represented themselves well in both boy's and girls competition. The Queens went undefeated beating Chemawawin, Oscar Lathlin and ST.Theresa Point to go 3-0 in the round robin. This would put them in the final and they beat Oscar Lathlin 35-29 to claim the Girl's Zone. 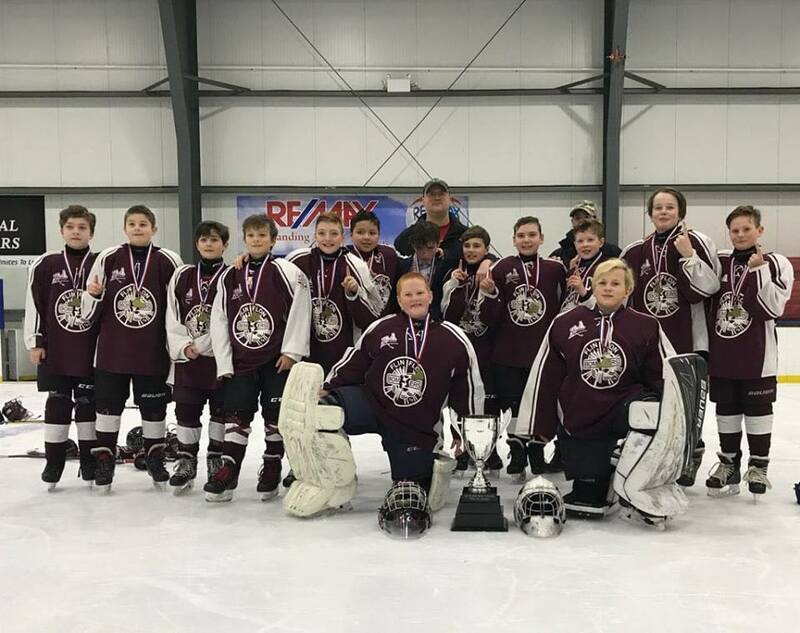 The Kings looked like they were on their way to capturing the boy's crown with round robin wins over Chemawawin, Moose Lake and Grand Rapids. ST. Theresa Point upset them in the semi which put them in the third place game where they beat Chemawawin 69-56. The Flin Flon Bombers are back on the ice tonight after a 5 day break and will host the Yorkton Terriers at the Whitney Forum. A lot can change in a month and it is hard to believe that both these teams could be playing in the Survivor Series. Entering play tonight Flin Flon is 31-19-1-2 and are 7th overall, and are 3 points behind Battleford for 6th and 5 points behind Melfort for fifth. Both the Mustangs and Stars have a game in hand. Yorkton is 28-24-1 and are 8th overall, 8 points behind the Bombers and both teams have played 53 games. February has not been kind to the Bombers who are 2-6 with their two wins against the league's bottom end teams in Weyburn and Laronge. Yorkton who had a disasterous January, are picking things up going 5-5 in their last 10 and are fresh off a 9-3 dismantling of Laronge on Wednesday. It is always a lot of fun to watch these two teams go head to head with no shortage of offense as these are the best two offensive clubs in the league. Yorkton has scored the most goals in the SJHL with 222, and Flin Flon is right behind at 219. In the head to head meetings, Yorkton leads the season series 3 games to 2 out scoring the Bombers 25-22. Flin Flon is still banged up on the back end and rumour has it that Tyler Higgins may be back in uniform tonight. Calvon Boots, a finalist for SJHL Defenseman Of The Year is not expected back for a few more weeks. There are a lot of special events taking place tonight including First Responders Appreciation Night as we pay tribute to the Flin Flon RCMP, Firemen and Ambulance with a special pre game ceremony. The Novice kids from Flin Flon Minor Hockey will also be doing a skate drive for The Pas Minor Hockey player, Ryder Armstrong who was diagnosed with a serious illness. Players and parents will be collecting donations on his behalf. Flin Flon has 5 games remaining in the regular season, 4 at the Whitney Forum including tonight's game against Yorkton. Don't forget to bring your radios and moblie devices as we are back on the air with the Great North GM Coach's Show at 7:10 and play by play at 7:30. Good luck to the Hapnot JV Kings and Queens basketball teams who are off to Easterville for Zone's which will start tomorrow. The Queens will play Oscar Lathlin to kick off the tournament tomorrow at 9am. They will also play ST.Theresa Point at 11 and Chemawawin at 3:40 on Friday. The Kings will play the Frontier Grizzlies at 11:50 on Thursday and Chemawawin at 12:50 on Friday. 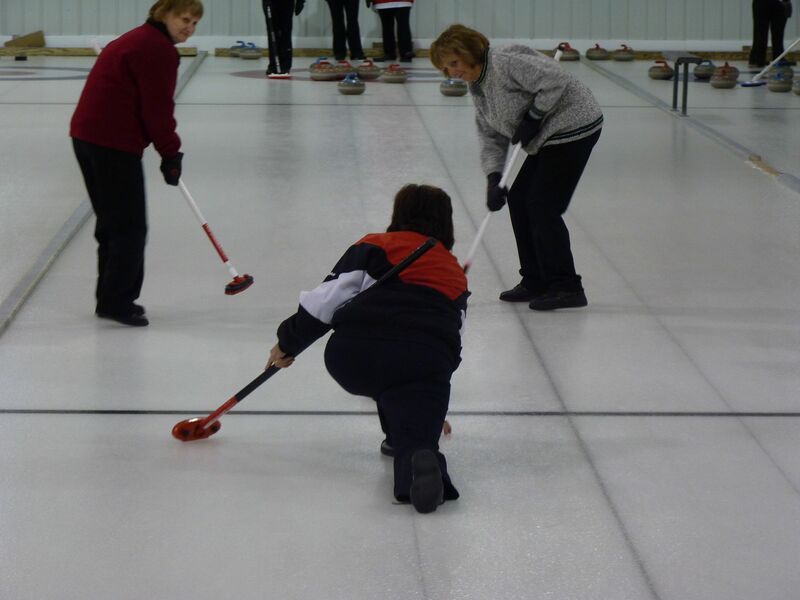 The Uptown Curling Club is ready to host both the Men's and Ladies annual bonspiels the same weekend, March the 8th to the 10th. This will be the fourth year both bonspiels will take place the same weekend and they have a lot of great things planned. There will be the curling, a banquet and lots of great prizes including two round trips to Winnipeg and a fishing trip package. Remember to get your entries in by March the 3rd to Dembo's Kick-it on Flin Flon's Main street. You can also call Sue at 687-5560. Mail entries and team info to Men's and Ladies Bonspiel Committee, box 492, Flin Flon MB,R8A-1N3. Congratulations to the Werbicki Trucking Bantam Bombers who won another tournament in Swan River this past weekend. The Bombers rolled over the competition in wins over Shoal Lake, Swan River, Dauphin and The Pas. Flin Flon then beat up on Thompson 7-3 in the final. The Bombers are ready for Provincials coming up in Stonewall March the 8th to the 10th, and havn't lost a game in regulation all year. 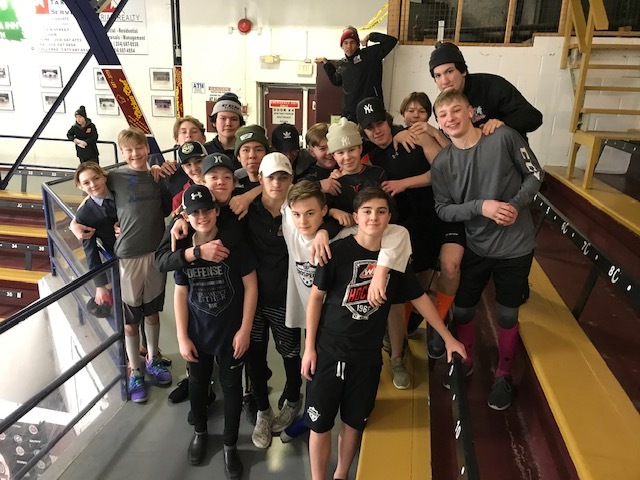 The Norman Bantam Triple A Wolves split a pair of games in Flin Flon this past weekend against the Southwest Cougars at the Whitney Forum. 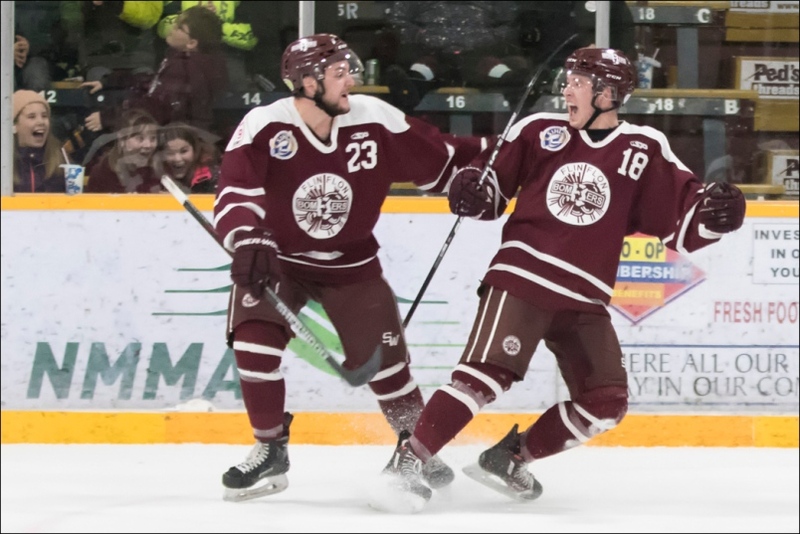 The Wolves won Saturday 5-3 on the strength of an Ian Snoots hat-trick and two goals from Flin Flon's Joey Lies. Sunday the Cougars got revenge with a hard fought 4-3 win to close out the regular season. Ethan Johnstone (Thompson), Ashton Paul (The Pas) and Colby Hnidy (The Pas) scored the goals. Joey Lies had one assist. Flin Flon's Colby Salamondra started in goal and gave up 4 goals on 35 shots. Norman will finish the season 5-29-1-1 and will get ready for Provincials which will take place , March the 1st to the 3rd in Landmark. 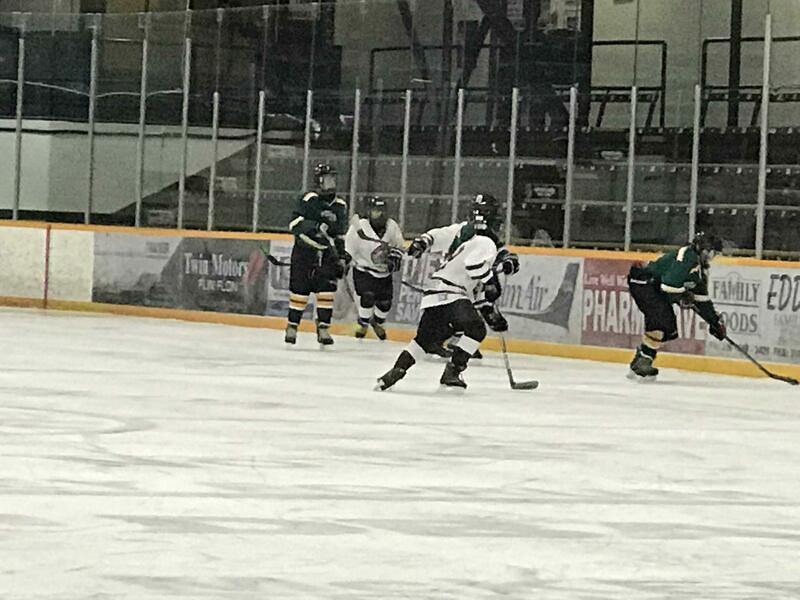 The Werbicki Trucking Bantam AA Bombers will get one more tune up tournament before Provincials as they will play in a tournament in Swan River strarting today. The Bombers will suit up against Shoal Lake at 1:15, and Swan River at 4:45. They play two more games tomorrow against Dauphin at 10 and The Pas at 3:15. Finals are Sunday at noon. The Bombers are looking to keep their tournament streak going, winning the 5 other tournaments they have played in this season. It was a game the Flin Flon Bombers absolutely had to have, and Cade Kowalski was the difference maker against his former team the Weyburn Red Wings. Kowalski scored twice, his 20th and 21st goals of the season and assisted on Daylan Marchi's OT winner as the Bombers beat the Wings 3-2. Flin Flon was able to erase a couple of 1 goal deficits in fighting back for the victory and are now 1-1 on their current 4 game road trip. This was also a big win for starting goalie Gabriel Waked who stopped 24 out of 26 shots for his 5th win in a Bomber uniform and hopefully gained some confidence. Former Bomber Dawson McKenzie and Drew Anderson had the Weyburn goals. Cody Levesque took the loss giving up 3 goals on 39 shots. With the win the Bombers improve to 31-17-1-2 and remain 1 point behind Melfort for second in the Sherwood after the Mustangs doubled the Klippers 6-3 last night. Flin Flon does move up to 6th overall with 65 points, and are currently tied with the Battleford Stars who do have a game in hand. After a much needed day off, the Maroon and White will head to Estevan tomorrow to take on the red hot Bruins who have reeled off 9 wins in their last 10 games. The Bombers have won all 3 previous meetings. The road trip will wrap up in Wilcox against the Notre Dame Hounds on Saturday. It was a lot better effort defensively, but the Flin Flon Bombers dropped their second straight game and 5th in their last 6 to the Humboldt Broncos last night 3-2. Brayden Camrud opened the scoring just 2:18 into the game, before the Bombers responded with goals from Houle (15) and Hein (41) to give Flin Flon a much needed 2-1 lead after 1 period. Humboldt chipped away with the only goal in the second when former Ice Wolf, Mitch Zambon picked up his 19th of the season. Logan Foster would decided the game with his 13th of the year which stood up as the game winner, just 37 seconds into the final period. The Bombers got a good goaltending effort from the SJHL Rookie Of The Month in Jacob Delorme who turned away 28 out of 31 Bronco shots. Rayce Ramsay got the win for Humboldt, making 25 saves on 27 shots. 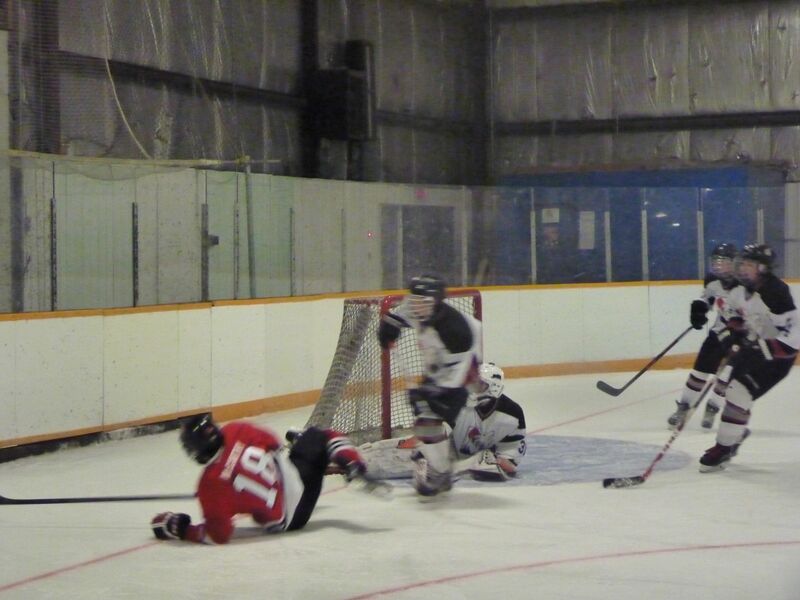 Both teams had some success on the power play with the Bombers going 1 for 4 and the Bronco's ending up 1 for 2. Humboldt ends up winning the season series 3 games to 1. Flin Flon's overall record will slip to 30-17-1-2 and are 1 point behind Melfort for second in the Sherwood and are 7th overall. The Bronco's improve to 32-16-2-1 and sit 2 points behind Kindersley for the division lead and are fouth overall. The Bombers will get a chance to get back on the winning track as their road trip continues in Weyburn tonight. Puck drop is at 7:30. 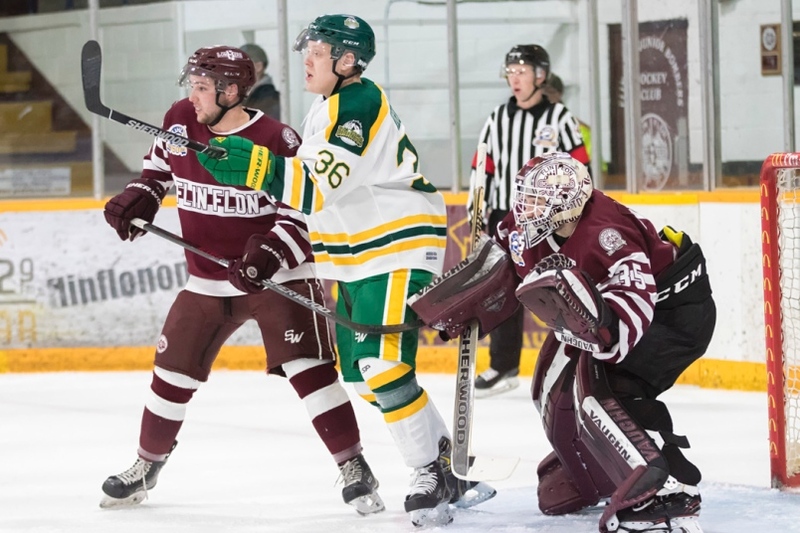 The Flin Flon Bombers had another tough third period on Saturday where they gave up three goals and ended up dropping an 8-4 decision to the Melfort Mustangs, their fourth loss in their last 5 games. Once again it was a good first period where the Bombers jumped out 3-1 before the game was even ten minutes in. Marchi(19), Houle (14) and Hooper (23) provided the early offense. Colin Schmidt scored late in the opening frame for the Stangs to cut the deficit to 3-2 after 1. That goal would spark Melfort in the second as Schmidt would score two more to convert the natural hat-trick and give the Mustangs the 4-3 lead. Alex Rondeau added a late goal with just under 2 minutes to go as Melfort took a 5-3 lead to the locker room after 2. That would be the eventual game winner. The Colin Schmidt show continued in the third, scoring his fourth of the night just 1:59 into the period and this would chase Bomber starter Gabriel Waked from the net after surrendering 6 goals on 29 shots. Caleb Moretz would make it a little closer, getting his 20th of the season to make it 6-4, but Melfort would get a couple of insurance goals late from King and Anderson en route to the 8-4 victory. Specialty teams were a big part of the game with Flin Flon going 1 for 8 on the PP, and also giving up a pair of short handed goals. Melfort finished up 0 for 3 and final shots were 39-36 for the Mustangs. It also looks like we will see some suspensions as Crystopher Collin and Kayle Tosh got involved in a huge melee late in the game where Collin received a major for fighting and an attempt to deliberately injure. Tosh picked up a 5 minute major for slashing and a 5 minute major for fighting and I expect the league to review the game tape and make a decision later today. This was a big win for the Mustangs who leap frogged the Bombers for second in the division and 6th overall. Flin Flon drops to 7th with a big 4 game in 5 night road trip coming up. 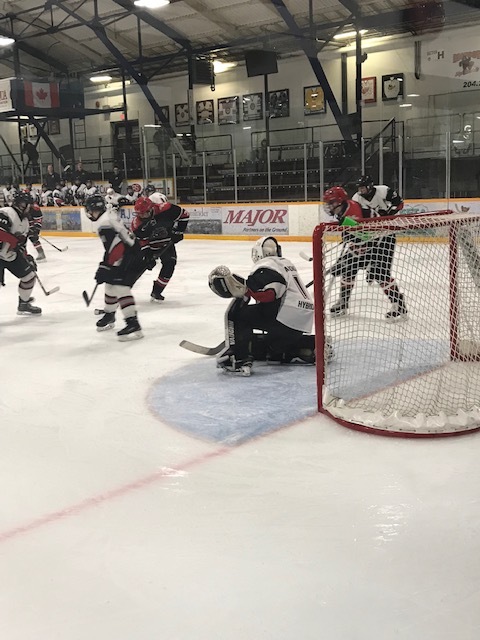 The Bombers who are vey banged up especially on the back end play in Humboldt Tuesday, Weyburn Wednesday and Estevan Friday, wrapping up with Notre Dame Saturday. Calvon Boots, Tyler Higgins and Isaac Jackson are all out of the line-up and now it looks like the Bombers will also be missing Crystopher Collin for a few games as well. The good news is that Flin Flon is only two points behind Humboldt and Battleford for fourth overall and if they can string some wins together, could find themselves back at the top of the standings. We won't have the broadcasts from this trip as I continue to recover from a bronchial infection but hope to be back for Friday February the 22nd when the Bombers host Yorkton. 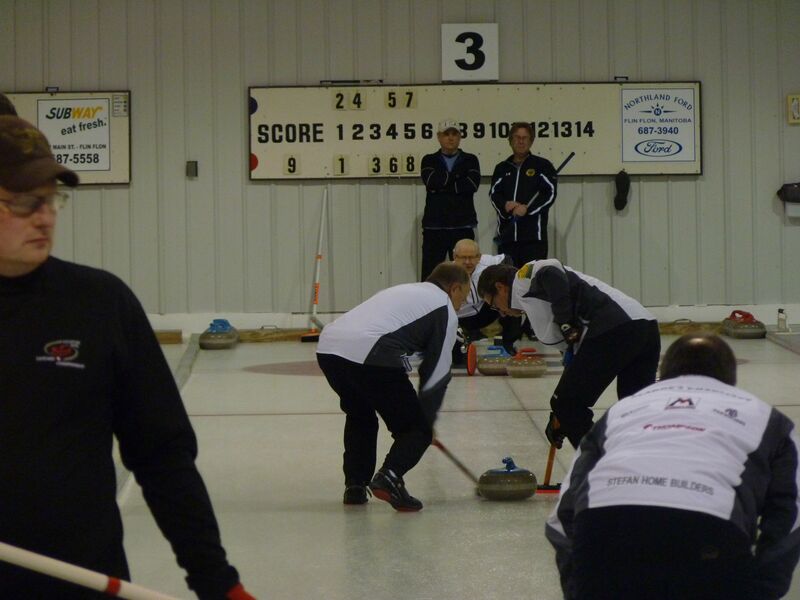 The over 60 Men's Masters Curling bonspiel will take place this weekend at the Uptown Curling Club. There are 8 rinks entered and here is the opening draw for Saturday at 11. Smith VS Myer, Holmes VS Connolly,Blatherwick VS McCluckie and Munson VS Shirran. Finals will go Sunday afternoon at 1. The A-side is sponsored by Creighton Furniture and the B-side by CIBC. It was another tough weekend for the Norman Northstars who dropped a pair of games to the SouthWest Cougars by scores of 10-1 and 7-0. There was one bright spot, as Flin Flon's Morgan Daneliuk scored his first ever Manitoba Midget Triple A goal. Daneliuk now has 6 points in 39 career games. Norman's overall record will slip to 6-33-0-1-1 and will kick off their last road trip of the season when they play the Winnipeg Thrashers on Friday. It wasn't the effort or the result the Flin Flon Bombers were hoping for last night in Melfort. 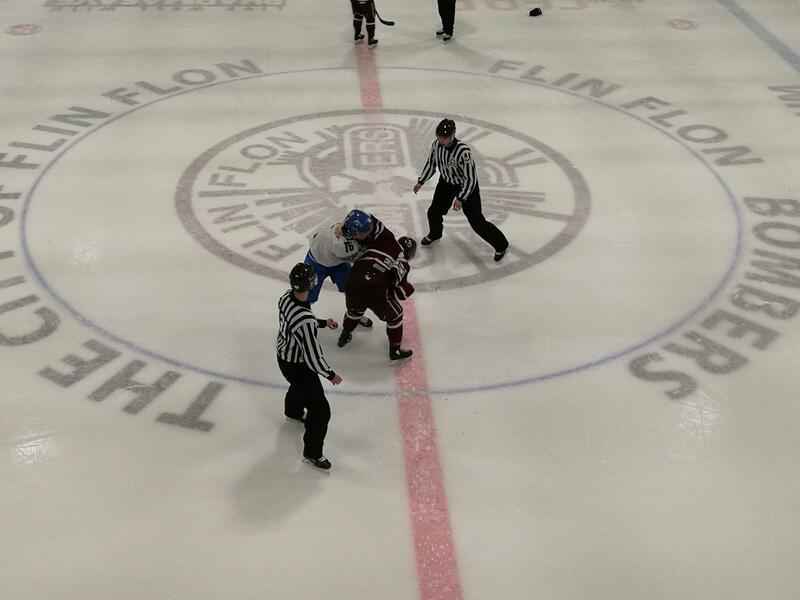 Flin Flon was looking to shake off an ugly OT loss the night before against Notre Dame. The Bombers had the Hounds down 6-3 after 2 periods, and ended up getting out shot 25-2 in the third and ended up losing 7-6 . Head Coach and GM Mike Reagan, and a number of his players vowed they would be better at the Northern Lights Palace last night, but it did not go as planned. George King scored his first of two on the night to open the scoring at 3;34 of the opening period in what turned out to be the game winning goal. The Mustangs went on to bury the Bombers 6-0. Other Melfort goals were scored by: Fofonoff, Smith, Zentner and Justin Ball picked up his league leading 46th. Final shots were actually tied at 32 a piece, but many of the Bomber shots were not in tight and I don't want to take anything away from Noah Giesbrecht, but I didn't think he was really tested. Flin Flon played both their goalies with Gabriel Waked getting the start before getting pulled after allowing 4 goals on 14 shots. Jacob Delorme came in relief and he ended up with 16 saves on 18 shots. 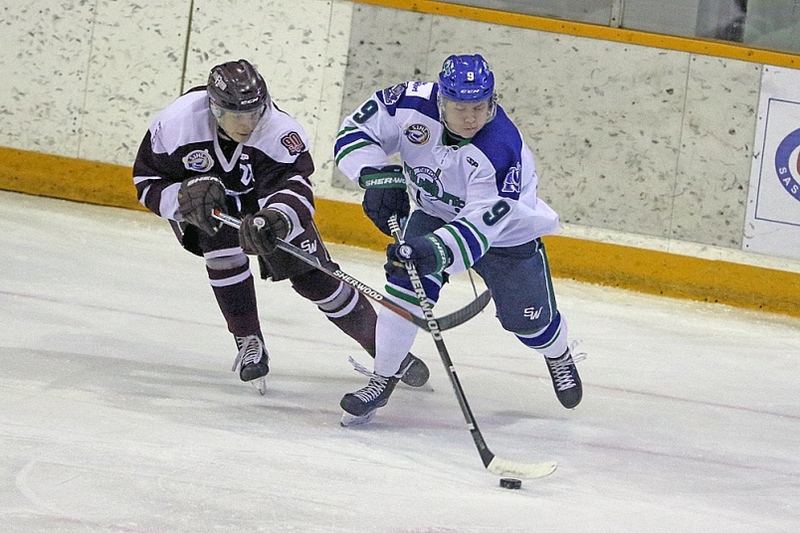 With the 1 point in the weekend set, Flin Flon is 29-15-1-2 and are tied with Battleford for fourth with 61 points. Both teams have played 47 games. The Mustangs seem to have gotten out of their fumk and have moved to with in 1 point of the Stars and Bombers. Melfort will have a chance to move up the standings as they play both Battleford and Flin Flon this week. Humboldt, who had the weekend off are very much in contention with 59 points in 47 games. This thing looks like it is going to go right down to the wire and the Bombers need to shake off the weekend and take care of Buisiness against Laronge Friday and the re-match with Melfort Saturday. Friday you will be able to come to the rink for free courtesy of Hudbay, The City Of Flin Flon, Town Of Creighton and Village Of Denare Beach. They have picked up the tab so make sure to tell your friends, family, co-workers and any one you can think of to come out and enjoy some free hockey. There will be no broadcast, but we will be back on the air Saturday against the Mustangs.